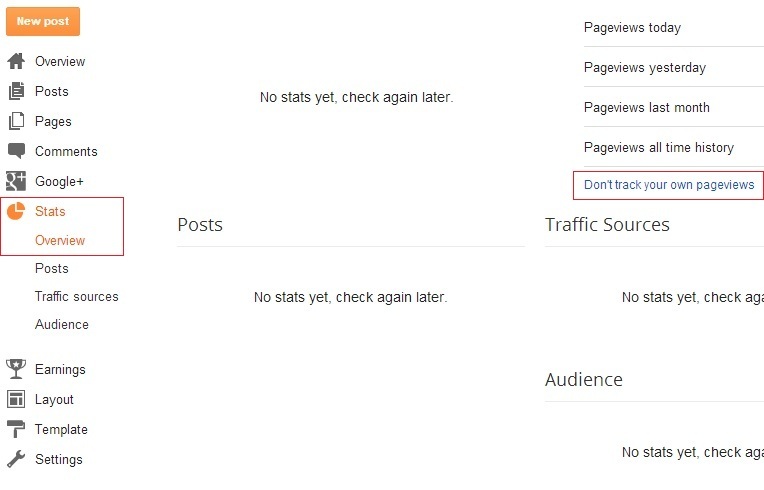 By default Blogger includes your own pageviews in the blog stats. 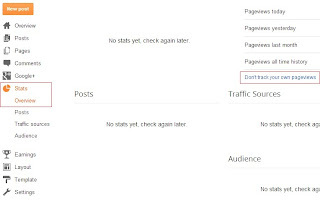 This might create a problem for many bloggers as it contaminates the overall statistics. Their is a simple solution for this. That's all! 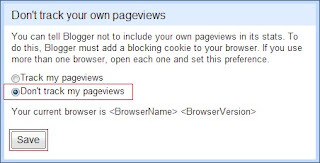 You are done with preventing Blogger from tracking your own pageviews. Note: This setting is browser specific. 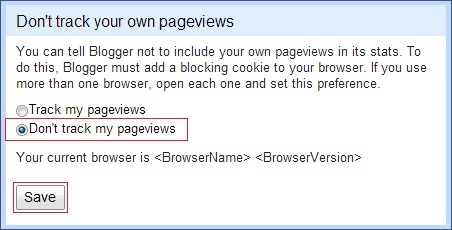 That is if you use more than one browser, you have to open each browser and set this preference.